its ok, and i like it. but the only problem is the low phone memory.... wanted to check if i can shift sound and video clips from my mobile to a friend's mobile of Motorolla brand... is this possible? please help me !! What are the video formats supported in this model? I have bought Nokia 3230 recently.For couple of weeks it runs smoothly except got hang couple of times.Now I'm facing serious problem I cannot start the phone.When I try to switch on the phone I get nokia logo for some time and it gets completely blank with lighted screen.Then after nothing is functional even I cannot switched it of from on/off switch.I have to take out the battery to switch it off.After putting in and out the battery and try to switch it on for couple of time sometime phone get turned on.Even phone get turned on again it gets hang and again I have to take out the battery to switch it off.Same problem repeat again. Please help me to solve this problem and get my phone works smoothly. there is no Memory Card option you are saying about! To Hossein, you need to go to messaging, options, settings, other, and change your memory in use from Phone memory to Memory Card, ENJOY. yup... mines already more than a year .. and its working pretty fine.. i'v sort out the casing problem.. here in our area.. we can actually already replace the casing covers .. iv tried matt gold , orange, now strict looking dark silver. yup it has memory issues.. we have to accept that we cant receive files way bigger than 5 mb.. but overall its fine.. a bad thing now iz that 3G Phones are coming out and our poor 3230 easily gets bullied.. im actually thinking of upgrading to 6680.. sad.. It's more cheaper than n70 but has 3G. And the Camera comes with a flash sooooo its cool to use at no lighting condition[comparing to black screen of 3230 at no lighting condition =(] pretty sad now that im planning to abandon my baby... iv enjoyed it but i want more.. pls advise me peepz if i shud abandon it.. is ther a camera flash for sale specifiaclly for 3230's? How to receive files in memory card directly.. plz let me know..
Somebody wanna have more space for sms,with special program you can save msg's to E: disk (MMC).You can find that program in www.dimonvideo.ru (only registered users,register free).Program name: MsgDriveE .It could be and in other websites. Hello people,i have 1 question.It possible to change speaker of Nokia 3230?Maby some one knows? I loved the shape of the phone.I bought this phone in March.The thing which upsetted me a lot was the battery performance.The battery charge will hold good initially and once it starts coming down,it comes down to zero soon. I went to Nokia care and they replaced the battery,but still the problem persists;but i got used to it. The sound quality is very poor.You won't hear the phone ringing in a slightly noisy area. The phone hangs and restarted often initially.I took it to the Nokia care and they upgraded the firmware to the latest one.Now,the phone doesn't hang and restart often as it used to do.. I don't experience any problem with joystick. It supports RS-MMC upto 1 GB,but i use 512MB.It doesn't hang.I think 512MB is ideal ffor 3230. 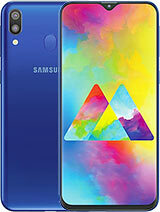 Phone memory is less-only 6MB.So,transferring big files over bluetooth is a problem..
You can find numerous applications for this phone on the net and can install it.